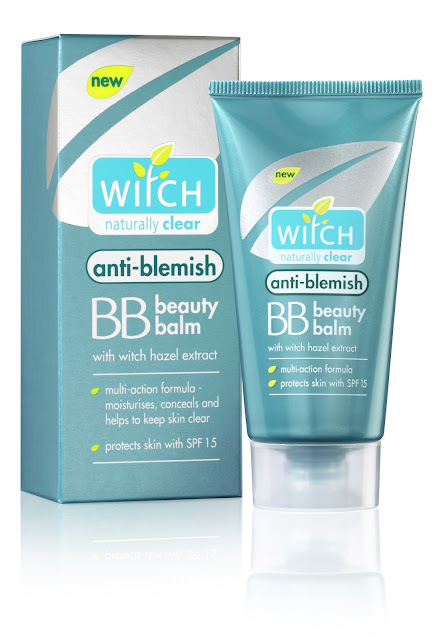 Beauty In The Mirror: Win 1 of 5 \ Witch Skincare BB Cream!! Win 1 of 5 \ Witch Skincare BB Cream!! Yep you read that right, I've teamed up with the lovely peeps from Witch Skincare to give 5 lucky Beauty In The Mirror followers the chance to win one of the NEW BB creams! Following on from yesterdays rave review about the new fabulous Witch BB Cream I'm so excited to give you peeps the chance to try it for yourselves! This is going to be really quick and easy to enter. (1) Be a follower of this blog via GFC/Google Friend Connect. (2) Leave a comment telling me if you've tried Witch before and if so what your favourite product is! leave your twitter handle or email address so I can contact you if you're one of the five lucky winners! Giveaway ends 18th September and Winners will be notified there after. And no, I've never tried witch products, but I've always wanted to. When ever we were away in the caravan I'd use witch hazel as a cleanser and it always made my skin feel fresh, so I would love to win one of the BB creams! I have never tried Witch products but this sounds like the perfect place to start! I'm Steph on GFC and @wuthering_alice on Twitter. I haven't tried witch products in years, but my skin is a mess just now so maybe I should! Oooh I would love to be entered! Blemish fighter and BB cream in one sound perfect for me! I use the Anti-Blemish Liquid Concealer, it's great to use on spots as it conceals yet it is good for your skin at the same time! I love the Witch Blemish Stick for smaller spots, the concealer is quite good too. I already follow you on GFC as Sadi. I follow on GFC as Evelyn. I absolutely love the Witch Skin Treatment Gel! I always make sure I'm stocked up on it as it's amazing for blemishes, insect bites, soothing burns, etc. it's so multi-functional and I absolutely love it! couldn't live without it! It's been a while but I do like their face washes. As a teen I used to swear by the 'witch stick' for all those spots, not sure when I stopped buying it or why. I haven't tried Witch before, but I have been meaning to check their products out! I have only tried their concealer before but I really like it so would love to try their BB cream too! I haven't tried Witch before, but it sounds great! :) I follow you on GFC (Myf).